As part of a £4.5 million makeover, thatch umbrellas, in a variety of diameters, were required. 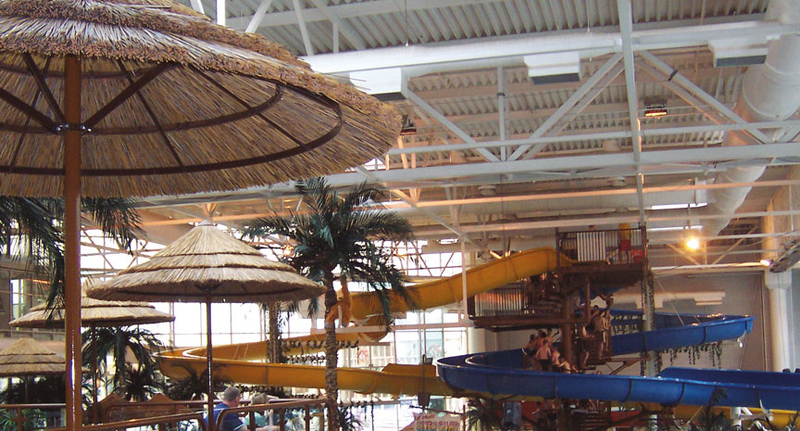 They needed to withstand a constant temperature of 84 degrees Fahrenheit and the humid atmosphere in the water park, enhance the tropical theme and bolt into existing framework. Our Cape Reed umbrellas were the ideal solution. The umbrellas provide a tropical vista across the whole of the water park and fit securely onto the existing handrails.